Sometimes peeling a butternut squash and roasting it before using it just seems like too much, so I liked this recipe. I had never grated a butternut squash, but it was super easy and I really liked this meal. I’ll definitely make it many times in the future! This recipe comes from Bon Appetit. Add pasta and 1/2 c. pasta cooking liquid to squash and stir to coat. Cook over medium heat, stirring, adding more cooking liquid as needed, until sauce coats pasta. Stir in 1/2 c. Parmesan. 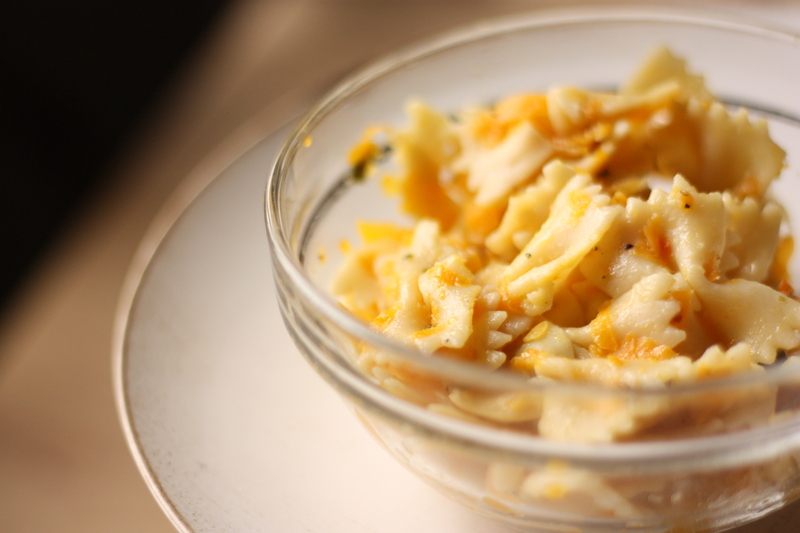 Divide pasta among bowls; top with more Parmesan.